Most of us have been faced with the tedious task of finding the right version of a document or worst working with the wrong document/information which invariably brings us two steps backward. Frustrating, both for the employee and the employer. In a study funded by Adobe, the International Data Corporation (IDC) analyzed the problematic that is the organization and retrieval of information. The proliferation of digital files, in regards of quantity (Ver.1, Ver.2, Ver.3, to ∞ and beyond) and support (iPad, Android Tablet, personal/work computer…) has created a situation where people have difficulty sharing the right information with the right people at the right time. In other words, companies and corporations are facing the document disconnect. According to this study, this phenomenon jeopardizes the efficiency and the productivity of companies. 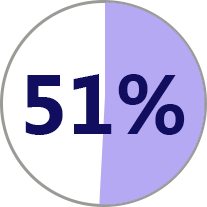 51% of the people surveyed report misfiled or lost documents and 43% say they must use several disk systems/application and often have to copy/paste or rekey information to get it to the right person. But concretely (in $ terms) what does this mean? Some studies have cited that employees lose around 15-18* minutes resolving their document related issues per document. Assuming that only one document is searched for in a day, this means that for an employee paid $20 an hour, the employer spends around $6 a day, $30 a week, $120 a month and $1,320 a year on “document management”. And we have not even taken into account the cost of working with the wrong information (impact on client-company relations, set backs on projects etc.). Considering the increasingly competitive nature of the modern market, increased productivity means better managed resources. Reducing the impact of the document disconnect can give a corporation that extra edge which can put it ahead of its competitors. Here at TagMyDoc, we have created an application that eliminates multiple aspects of the document disconnect problem. In the next chapter, TagMyDoc vs. The Document Disconnect.